SETH’S :: ANT-MAN #1: You have to give Marvel a little credit for some of their recent publishing strategies. Since they were acquired by Disney and their films became one of the hottest commodities in Hollywood, Marvel has gotten increasingly better about publishing new comics that have a more obvious correlation with some of those t.v. and movie projects. Just a few weeks ago they published a new SHIELD comic, and this week we see two new series that will hopefully appeal to new readers. Operation Sin #1 sees an Agent Carter comic just in time for the new show, and Ant-Man #1 arrives just in time for the first film trailer. Ideally, such cross-promotional efforts will translate into more people walking into comic shops. 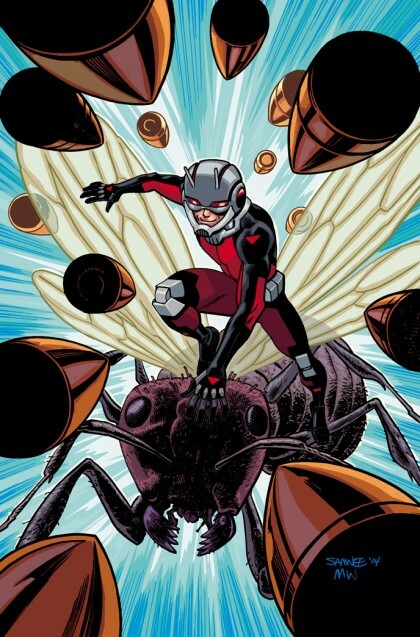 I’m particularly excited for the Ant-Man comic. Whereas most of the other Marvel Film properties have had multiple comics series over the years, Ant-Man is a relatively unexplored character. He’s one of those characters who has been a go-to guest star in the past, but hasn’t really had much by way of his own series. Marvel wisely tapped Nick Spencer to help define Ant-Man before the film. He’s coming off an acclaimed run on Superior Foes of Spider-man, and should do a nice job developing the criminal turned tiny hero. Ramon Rosanas provides the art, and while I’ve not seen much of his previous work, the previews suggest his cartooning is a good choice for this series. Wrap it all in one of the nice covers by Skottie Young or Chris Samnee, and you have a fun read for the week. 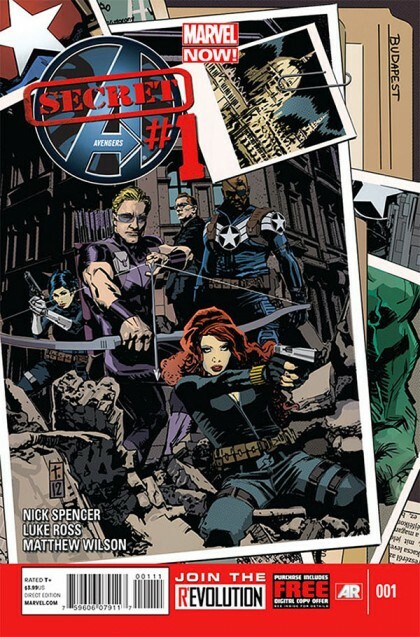 JUSTIN’S PICK :: SECRET AVENGERS #1: While I’m bummed to see the talented team of Remender and Scalera mosey along, the high contrast, chiaroscuro art of Luke Ross coupled with the writing of Nick Spencer could prove a worthy successor. With a team comprising unlikelies such as the Hulk and Taskmaster, Secret Avengers deserves a shake.